Dr. Zuckerman specializes in plastic surgery of the breast, body, and face. He creates enhanced, natural-looking, non-operated surgical outcomes. Dr. Zuckerman is a top ranked board-certified plastic surgeon in New York City. For the past 10 years, he has dedicated his career to offering outstanding patient care in cosmetic and reconstructive plastic surgery. Dr. Zuckerman is regularly quoted and interviewed in the media including the television show The Doctors, The New York Post, ABC, CBS, Fox 5, News 12, The Wall Street Journal, and more. He is an active member of The American Society for Aesthetic Plastic Surgery (ASAPS), the most prestigious society for aesthetic surgery, and the American Society of Plastic Surgeons (ASPS), serving on national leadership committees. Dr. Zuckerman is also a Fellow of the American College of Surgeons. He trained at Brown University as a resident plastic surgery, serving as chief resident in his final year. He completed a fellowship at New York University (NYU) at the Institute of Reconstructive Plastic Surgery. He graduated first in his class at Chicago Medical School and was awarded the Board of Trustees Award for Scholarship. Dr. Zuckerman also holds a Master of Science in Applied Physiology and obtained his Bachelor’s degree with distinction in Chemistry and English from Amherst College. 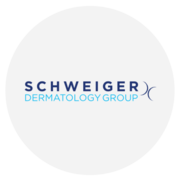 Just upload three standard pictures today to see a 3D simulation during your next appointment with Schweiger Dermatology Group. Before the consultation, you can visualize your current 3D body or face and, after the consultation, get access to see your new look from home so you can share with friends and make a better-informed decision. After the consultation, Schweiger Dermatology Group may let you access your "new you" from home with your own Crisalix account. This will allow you to share it with your family and friends or anyone you would like to get their advice.